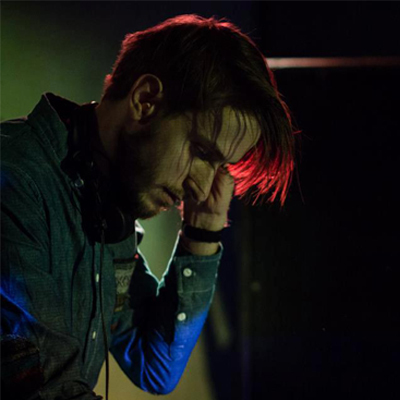 Lukas has been making music under different guises (juanita juarez, brooklyn) for a number of years now, and is a household name on the Czech underground music scene. Despite his young age, he has released on labels ranging majors such as EMI Czech or Warner Music Czech, through local independent labels Quazi Delict or Intellygent Records, to UK indie labels. His debut album was nominated in the Czech Music Academy Awards in the electronica category in 2003. Retrospectivelly, in 2005, a song off the album was nominated by the French Le Monde newspaper in their ‘QWARTZ’ independent electronic music awards, in the Best Song category. In 2003, he was invited to become one of the Red Bull Music Academy students, and took part in a music worshkop held in Cape Town, South Africa. Lukas has also embarked on other projects involving music. He’s contributed to licencing sample libraries and produced music for film, theatre as well as commissioned music (Nokia, MarkBBDO, Jim Beam, …). The Brooklyn monicker is dedicated to drum & bass production; the Brooklyn vinyl releases include ‘Zissou’ on Spearhead Records, ‘With All My Heart’ on Norwegian Subtitles Records, ‘11201’ on Nookie’s Phuzion Records, ‘Stages’ (Commix rmx) on Horizons Music uk, ‘Someone’ on Dispatch Records uk and his collaboration with Bachelors Of Science, ‘Wicked Ways’ on CODE Recordings. With over 100 shows played in the past 2 years, Brooklyn has become a sought-after name on the DJ circuit, having played across the Czech Republic, as well as Slovakia, Austria, Finland, Poland, Hungary or Romania and more.